April 11, 2019 By Holly Leave a Comment This post may contain affiliate links. Read my disclosure policy here. It’s that exciting time again, time to celebrate your child’s birthday. 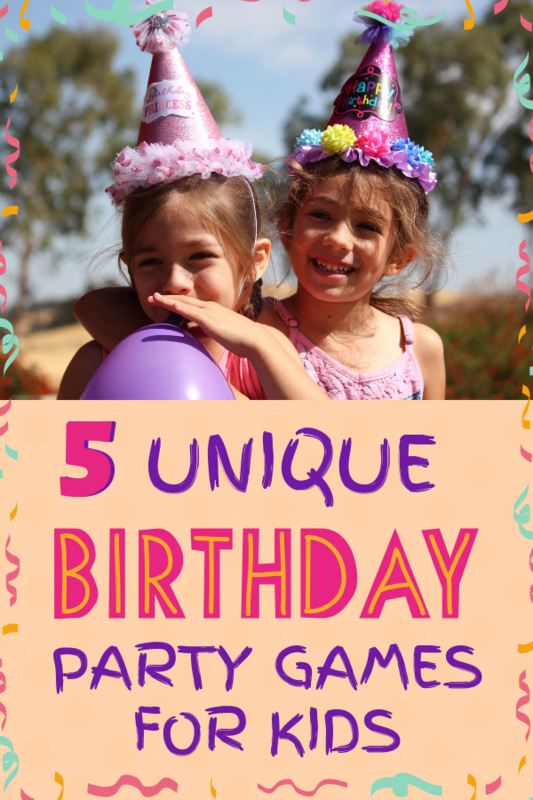 You love giving them a special day, but planning parties can be a challenge. You feel like the usual Chuck E Cheese or laser tag parties have been done to death. Wondering how you can come up with something fun that hasn’t been done before? Check out this list of ideas and see if you think your kid would enjoy them. Who doesn’t love popping the bubbles on bubble wrap? I admit that I still find it satisfying even at my age. Most of the time, as parents we’re telling the kids to stop popping bubbles on bubble wrap. But what could be more fun than having them do it on purpose? You can buy a whole roll of bubble wrap at moving supply stores or where you can rent moving trucks. Use the roll as a fun sensory game for kids to run across. Or you could tape the bubble wrap into a ball and fill the center with candy, similar to a piñata. Who can resist? Picking up items with flat utensils isn’t just challenging for using chopsticks to eat Chinese food. You can apply the same principle for a party game. Blow up a bunch of balloons and give each child a pool noodle and ask the kids to pair up. Set a timer for five minutes and tell the kids to get the balloons into a box using only the pool noodles—no hands or feet allowed! The kids will quickly learn that teamwork is essential to pick up the balloons. The team that gets the most balloons in the box before the timer runs out wins. This is a good activity for when the weather is fairly warm. Set up a tower of upside-down plastic cups and give two of the kids squirt guns filled with water. The goal is to knock down the tower first. Then, stack the cup tower back up again, refill the squirt guns, and have the next two kids try to knock it down with the water. The point is not so much about winning, it’s just fun for the kids to knock things down with squirt guns! This one gets messy so you’ll want to save it for the end and have some paper towels on hand. Also, this is more appropriate for older kids. Make up several packages of Jell-O and hide a plastic animal in each. The goal of the game is for kids to find the plastic animal and get it out of the bowl with only their mouth. It’s harder than it sounds! You can make any party for kids fun as long as you’re willing to let things get a little messy. Whether you want to let kids play old-school games like carrying an egg in a spoon or try one of the ideas above, it doesn’t take much effort to get kids to laugh and have fun.